The point is that service in independent schools is often treated as an extracurricular activity or a value that is tangentially addressed or developed “beyond” the classroom, or as an after school afterthought around charity or fundraising. 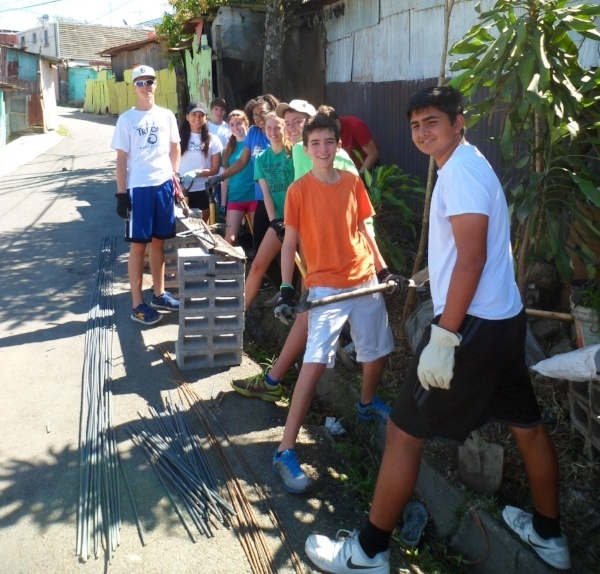 Shorecrest students work on a building project in the La Carpio community of Costa Rica during Service Week 2015. At Shorecrest, we aim to think and act differently regarding service. Shorecrest is one of the few schools in the nation, and maybe the world, that take four full days out of the high school calendar to do service (in addition to the 100 hours required for graduation, service clubs, and special projects throughout the year), allowing for an immersive experience of community service ranging from our local community of St. Petersburg to places like Haiti, Peru and Costa Rica. Service Week is good for Shorecrest and good for our community, and yet, we recognize and are humbled by knowing we still have so much more to do in the realm of learning through and with service. As much good work as we have done as a school, we have a long way to go as we move from community service to service learning, which involves placing our service activities squarely within the classroom and tying our service activities to the academic curriculum. Research around service learning has indicated that learning retention and empathy can both be increased through high quality service learning. 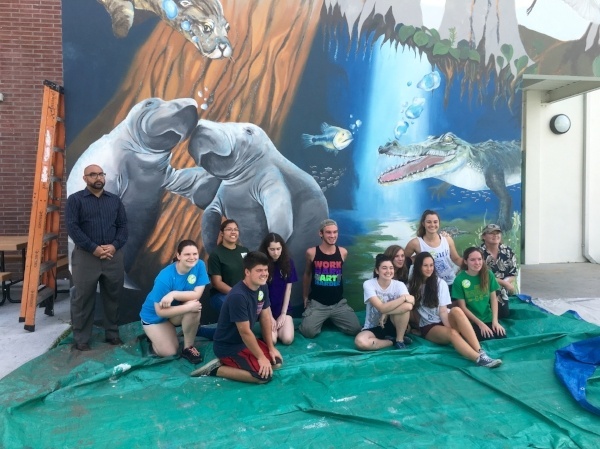 A completed mural project at Melrose Elementary in St. Petersburg during Service Week 2016. To this end, Shorecrest once again is aiming to lead the way in the independent school community by creating the Center for Service Learning Leadership (CSLL), a summer institute for independent school educators to be held in July of 2017. Again, we are one of the few schools in the nation to offer this kind of professional development, and we further differentiate ourselves by having our service partners play a central role in teaching throughout the institute, so that we understand what community partners need and want when forming service learning partnerships. Through role playing, readings, speakers and case studies, we will explore the best practices in service learning while making sure participants leave the institute ready to change the world one partnership at a time. We are also actively creating partnerships with nearby schools that offer leading service learning programs that serve as examples of best practices. We started this initiative because we are excited by the awesome challenge of implementing service learning as a school and because we look forward to learning from participants and our community partners through the philosophy, praxis and practice of service. 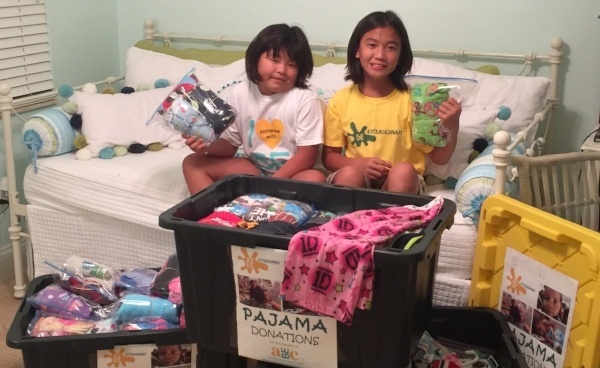 Lily and Anna champion a pajama project in Lower School to support an international organization. As administrators looking to learn and lead through service, my colleague Jonathan Davis and I founded CSLL. The program is supported by a grant from SAIS in helping us reach and enroll educators looking to infuse their curriculum with service and civic engagement. We are looking for ten to fifteen educators from Florida, the Southeast, the nation and our world to come to St. Petersburg from July 24-28th for an immersive, challenging and intentional learning community centered around service and learning. More information can be found at www.leadingservicelearning.org, including how to register and more information about the school and the St. Petersburg community. Questions can be directed to csll@shorecrest.org.